Bio-Energy Therapy is a safe, non-invasive dynamic treatment which is carried out over four consecutive days. It rebalances the energy system of the Body and consequently can enable a person to move beyond their energy blockages to a place where healing can start. The basic principle underlying the therapy is that when the life-force energy is flowing freely we enjoy a high standard of health and wellbeing. Illness on the other hand is associated with disruptions or blocks in the flow of the bio-field or life-force energy, which is generally brought about by stress, illness or injury. Every cell is surrounded and supported by this energy which also acts as an information network between the body, mind and spirit. Bio-Energy also extends out from the physical body, creating a low frequency electromagnetic field, commonly known as an aura. As well as the four treatments each client is introduced to a lifestyle programme which if taken on as a way of life is empowering and facilitates a return to good health. How do Bio-Energy Practitioners Work? 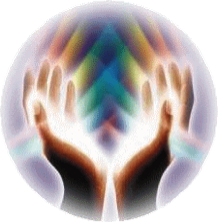 Therapists use the sensitivity of their hands to scan and balance the energy field surrounding the body. This is done by a series of hand movements around the client to relax them, increase the flow of energy and bring any blockages in their energy field to the surface. This facilitates the body’s own self-healing mechanisms to restore a flow of energy to the bio field, thus encouraging the body in its task to facilitate a return to good health. When the flow of energy is restored, the practitioner will balance and ground the client before completing the treatment. Bio-Energy Therapy is safe and suitable for everyone from the elderly to the very young. The therapy is not limited to treating specific conditions because the focus is on the cause of the illness, namely, the blocked energy in the Bio-Field. As the practitioner works with an individual rather than a disease label, people from all walks of life and in all states of health can find that their well-being and performance can improve. Bio-Energy Therapy is a dynamic treatment which is carried out over four consecutive days’ It rebalances the energy system of the Body and consequently facilitates a return to better health. Bio-Energy Therapy is non–invasive, there is minimal touch and the client remains fully clothed removing only shoes and metal objects. Clients may be asked to stand or sit down in a special treatment chair at different stages of the session depending on the techniques used. Depending upon the nature of a person’s condition, how serious it is and how long they have it some clients may require further treatments. As well as the four treatments you are introduced to a programme which you take on as a way of life and which empowers you to engage your body’s own healing system. Treatment can enable a person to move beyond their energy blockages to a place where healing can start. What can I expect to experience during treatment? During sessions clients may feel heat or cold, tingling sensations and also swaying or movement of the body. After the session some clients immediately begin to feel remarkable changes in their health. Others become more aware of their illness for a few days as their body starts to release years of stagnant energy. Clients may also notice very little happening initially but find their illnesses have disappeared over the weeks following the sessions. This example is like a traffic jam; once the problem has been removed the cars at the back of the line still have to wait to get moving. Practitioners know that once they have successfully restored the flow of energy to the body, they can step back and trust the process to work. What conditions does Bio-Energy Therapy treat? Bio-Energy Therapy is not limited to treating specific conditions because the focus is on the cause of the illness; the blocked energy in the Bio-Field. Total Cost £200 for the full treatment. This consists of four consecutive daily sessions of 45 minutes to 1 hour each.